One of my favorite places to go to spend the morning or day is Santana Row. There's so much you can do here from shopping, grab a cup of coffee, watch a movie, enjoy some frozen yogurt and even listen to some live entertainment. 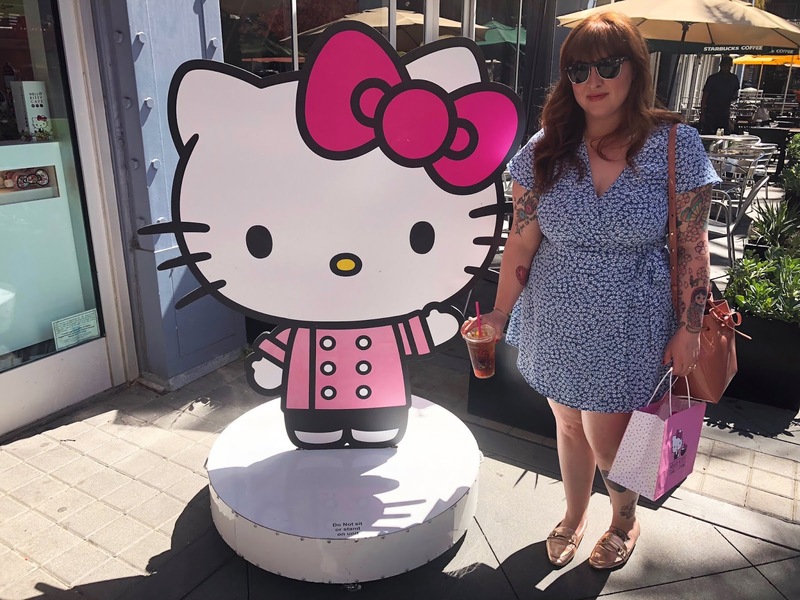 Rudy and I were so lucky that we came back to California in time for the recent opening of the new Hello Kitty mini Cafe! 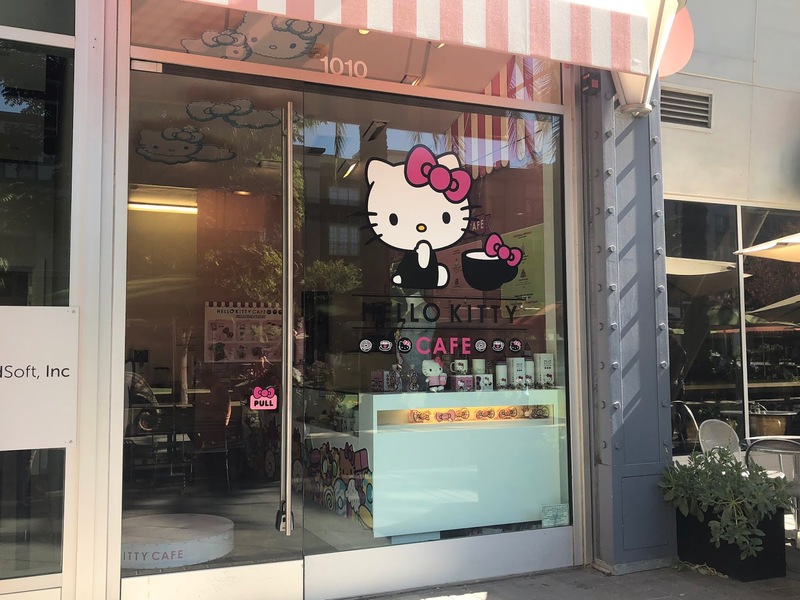 I believe the first Hello Kitty cafe to open was in LA followed by their second location in San Diego. The Santana Row is the third location of the cute cafe and they also have a Hello Kitty Cafe Truck. 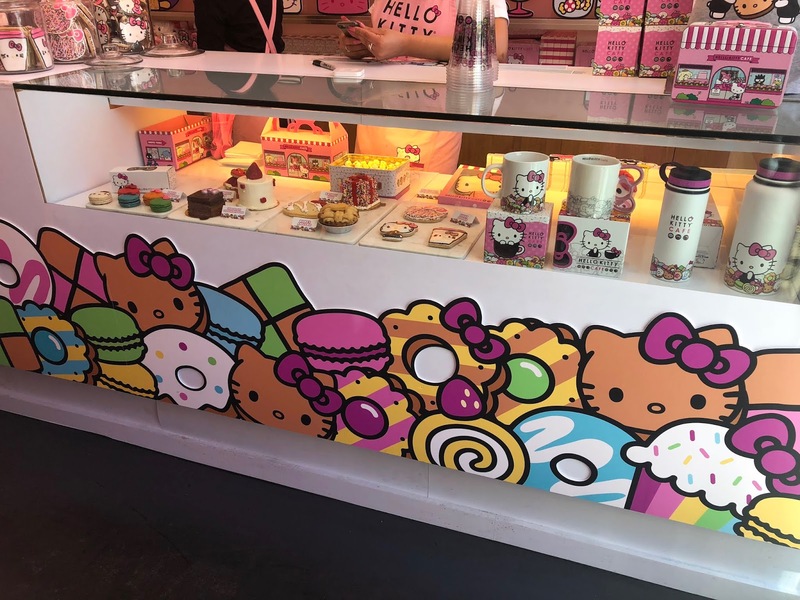 The HK cafe truck was first launched back in 2014 at the Hello Kitty Con. The fun and interesting part about the cafe truck are that they're constantly on the go! On their website, you can find where their next scheduled destination will be. This was something I was very excited to check out for myself. 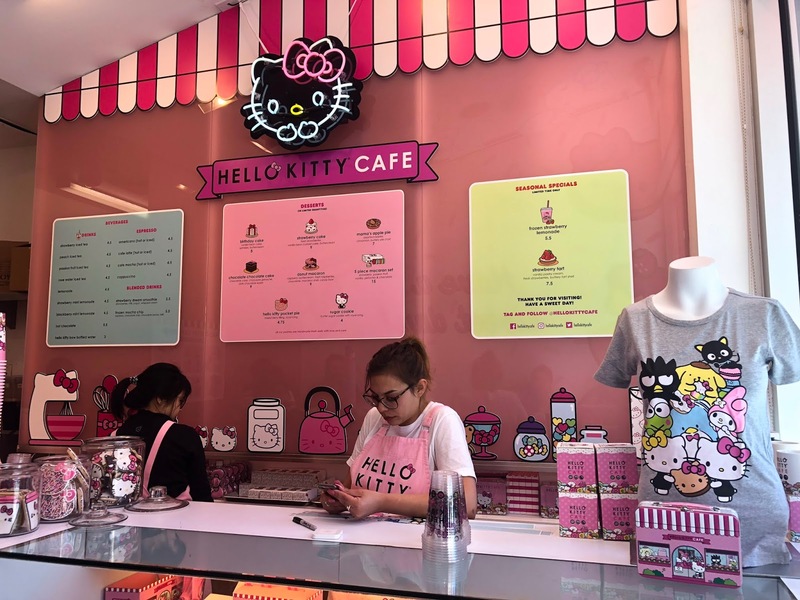 The cafe was very small but super cute for all those Hello Kitty lovers out there, this is definitely a place worth checking out. My original plans were to snap a ton of photos while we were there to share with all of you but unfortunately, since the shop was extremely small there wasn't much to take photos of. But you can turn that frown upside down because I did manage to snap a few! We arrived at the cafe about 30 mins before opening (10am) and there was already a few people waiting in line. Finally, what felt like an hour later the doors were open and small groups at a time were allowed in to order and shop. I have to admit upon entering I got a bit overwhelmed by what I was going to order because everything seemed quite fast paced. 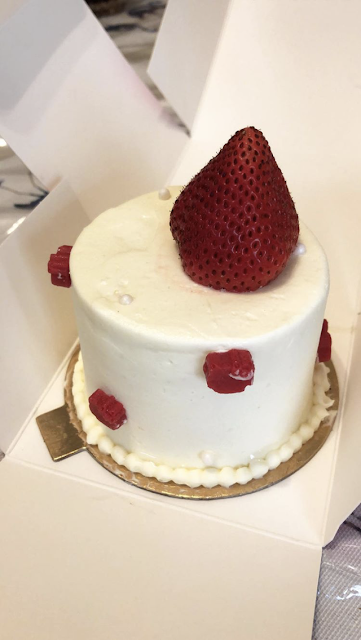 They had a decent variety of treats offered from cakes, cookies, macarons, pies, and tarts. Then for drinks, they had multiple different flavored teas, lemonades, coffees, and even blended drinks. 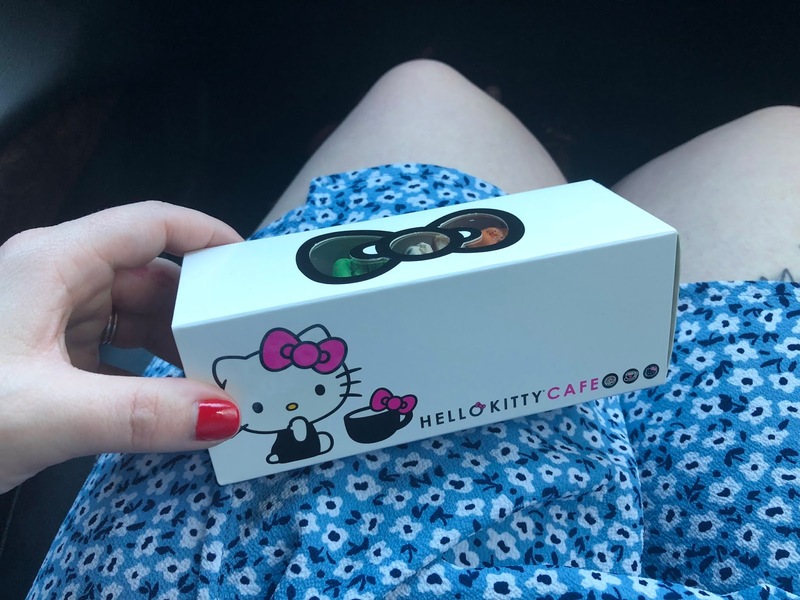 I, of course, decided to order their box of french macarons with a rose water green tea, and Rudy ordered the strawberry cake (which unfortunately I completely forgot to get better pictures of) along with a peach green tea. I was a huge fan of the macarons, they didn't last more than fifteen minutes to be completely honest. However, I was sharing with Rudy, even though I wanted to eat them all by myself haha. 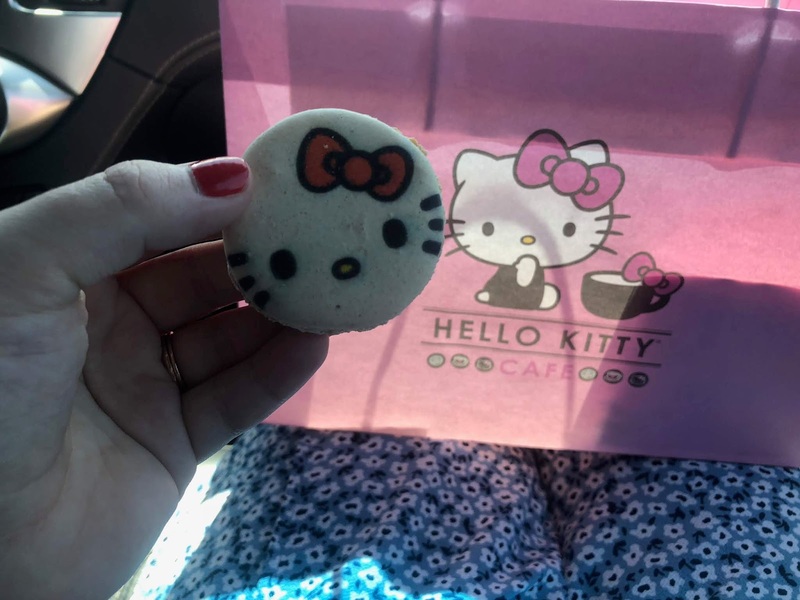 They were also so cute and each cookie came with Hello Kitty's infamous bow made of white chocolate. 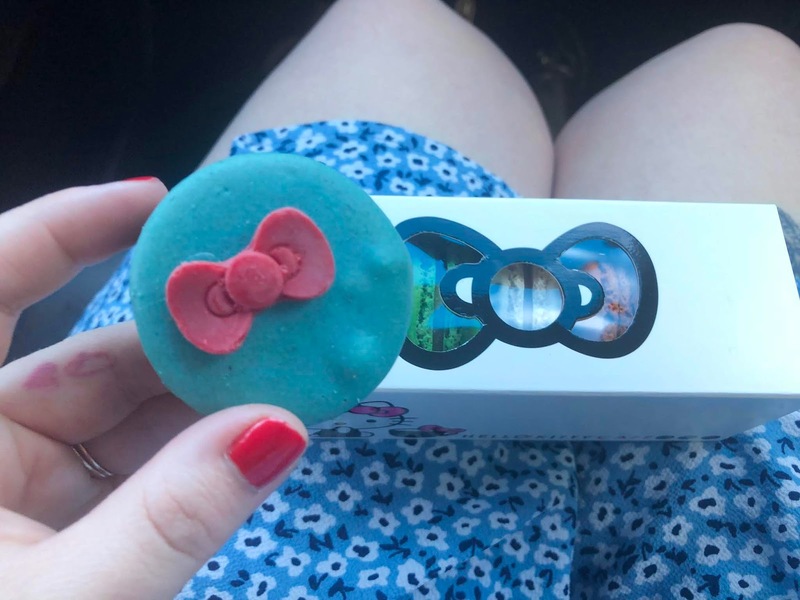 One macaron did have a stencil spray painted with her face on it which was too cute! They were all different flavors too. This was such a fun spot to check out, especially for photos to share on IG. Though, to be completely honest, I don't think I'd go back here. In my opinion, the place is over hype and the food wasn't the greatest (at least the strawberry cake and teas weren't), apart from the macarons which like I said I loved. Nonetheless, I still suggest everyone should go at least once for the experience, and definitely try out some macarons! this place looks so cute! This looks really cute I love Hello kitty. It was, especially if it was your first time visiting. It's sooo cute! I still need to make time to go here. I haven't even checked to see how long its here for, I hope I don't miss it.